They’ve suffered four straight defeats in all competitions, and while all of the attention is once again on Arsene Wenger, we’ve taken a look at the players at his disposal. Whisper it quietly, but it isn’t *all* Arsene Wenger’s fault you know. 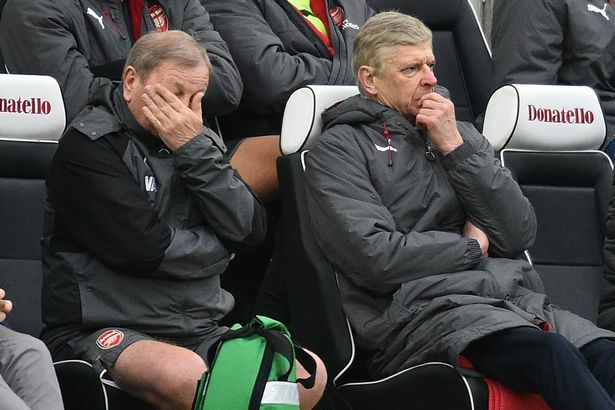 Arsenal’s players also need to take responsibility for the mess that their season has turned into, with a fourth successive defeat in Sunday’s game at Brightonacting as a new low after the previous new lows that we thought they couldn’t go any lower than. 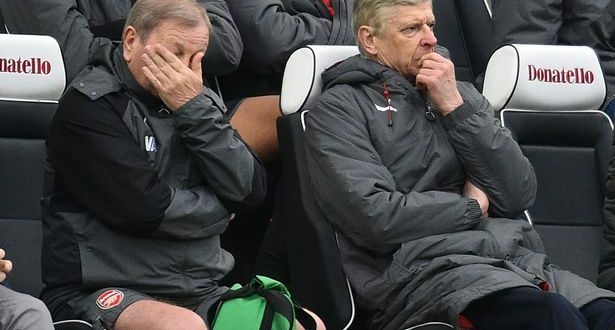 The Gunners lost 2-1 as they delivered a performance as insipid and dreary as any this season, with Wenger later admitting that a top four finish is nigh-on impossible now. But if this is indeed the end for the Frenchman , then what about his squad? We’ve taken a look at every player who has played a first-team game for the Gunners this season, and decided whether they should be kept on for 2018/19. Cech held his hands up for the loss to Brighton, which is more than he’s done on the pitch recently. When you’re a long-term No. 2 goalkeeper you’re always going to face the choice of either staying in your comfort zone or moving on to actually play, and the opportunity could be there for Ospina if Cech does indeed leave. It’s just… well… he’s not all that good is he? Once a perceptive, quick, skilled centre-back with a wonderful sense of positioning, Koscielny has gone from Arsenal’s most reliable centre-back to… well, he’s probably still their most reliable one, but that isn’t saying much. He’s probably not good enough, but we’re looking around at the other defenders on Arsenal’s books and thinking that we can’t get rid of ALL of them, so Holding gets a stay of execution. His emergence as an unlikely goalscoring force this season aids his case, and given that Gunners fans seem to like him then Monreal can stay too. 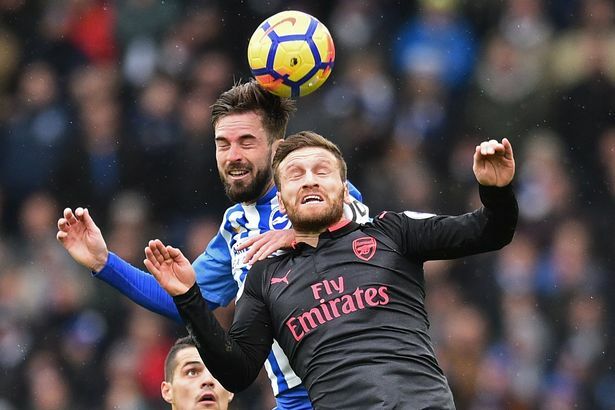 Eyebrows were raised last summer when it seemed as though Wenger was trying to force Mustafi out to Inter Milan, but that might end up going down as his last good decision. It mustn’t be forgotten that the German is still only 25 and so can improve, but that also means they could still get a hefty fee for a man they paid £35m for 18 months ago. He’s done the loan move away already, so it is difficult to know just what is supposed to come next for a defender who, going off all those 2014 “this is what the England 2018 World Cup team should be” articles, should really be a lot better than tis by now. 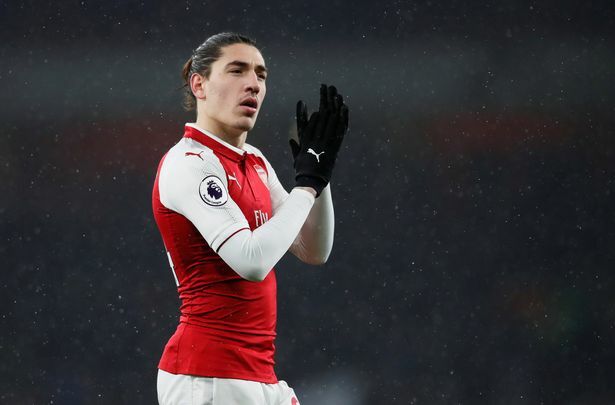 One of the very few in the current squad who you could imagine excelling elsewhere, Bellerin’s progress has stalled along with his team’s but he’s still young enough and good enough to improve. He might not be making that move to Barcelona that was once predicted for him, but as a 22-year-old with 150 senior games under his belt he’s going to have suitors. The free transfer signing from the Bundesliga started very well in his first campaign with the Gunners, before a loss of form led to him becoming something of a fringe player. He’s only been there a few weeks so of course he’s a keep, but Mkhitaryan has now lost four of his five Premier League games for the Gunners, while only lost five in his 18 months at Manchester United. If – and it remains an if – Wenger does go, then it promises to be fascinating to see what whoever comes in ends up doing with Ramsey, a midfielder who promises so much when stationed in the right place but who can look out of his depth when he’s not. In these most recent times of strife Arsenal fans’ only enjoyment seems to have come from watching Wilshere occasionally tackle opposition players, something which could be removed in the summer when he’s out of contract. The fitness issues don’t seem to bother him any more, with his talent the major issue, but if this is going to be an Arsenal revolution then they could do with one of their own around to aid it, couldn’t they? You don’t decide to pay someone £350,000 a week and then get rid of him at the first possible opportunity, so Arsenal will obviously hang on to the German unless his new contract is just designed to get a bigger fee for him this summer. He might struggle to shake off the perception that he’s Wenger’s favourite given that the Frenchman probably persisted with playing him too often in the face of plenty of evidence that he shouldn’t, but the fact that Iwobi is just 21 should be in his favour. We’re not saying it’s going to be easy, and we feel pretty bad for saying it, in truth, but with Cazorla out of contract at the end of the season then it will be time for Gunners fans to say goodbye to a man who hasn’t played since October 2016. Yeah, get rid. Fire him out of one of the cannons out the front of the Emirates if necessary, or just fire that cannon and watch him chase down the projectile that’s been launched from it and dive in on it, earning a yellow card in the process. Probably one of the few who has benefitted from this mess of a season, Maitland-Niles has managed to play 21 times for the Gunners as he’s picked up valuable experience over the campaign. There might be something in converting him to a centre-back if the Gunners are going to go with a back three next season, but that’s about it. He’s not offering much as a midfielder. It’s not gone well, has it? The French forward hasn’t turned into the goal machine that Arsenal’s official club hashtags would have had us believe when he signed in the summer, but they can’t get rid this quickly can they? At least not without a big bid incoming. Of course he stays as he’s only been there five minutes, but Aubameyang isn’t going to be happy unless he sees some top quality additions join him at the Emirates in the summer. Seemingly getting less and less effective by the week, it really is time that Welbeck moved on and played for a mid-table Premier League team.